A. JOHN MORIS & CO., is a firm of Chartered Accountants providing Professional Services such as Audit, Assurance, and Related Services for more than Two Decades. The firm has its head office at Chennai and having 18 Branches across India. The firm was established in the year 1996 and it has 24 Partners. In an evolving market place with fast moving changes in economy, various industries, companies, and enterprises face new challenges on a day to day basis with the upgrading of skills. Our firm is the one which responds to these strategies by rendering comprehensive and professional service, whenever and wherever they are required. 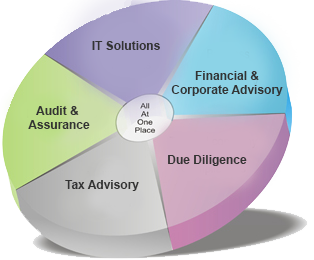 A. John Moris & Co., Chartered Accountants is a leading accounting firm rendering comprehensive professional services. The firm has developed expertise in various areas such as Audit and Assurance, Taxation, Valuation, Due Diligence, Corporate Advisory services in order to support the client and to respond in an affirmative way to these business needs. It endeavors to help clients to successfully respond to changing opportunities by providing need-based professional services. A. John Moris & Co., has tailored its services to include audit & assurance services, Tax & Legal Consulting & financial advisory services to address the challenges faced by clients in the complex business environments. Expertise in guiding NBFCs & NIDHI Companies, MFIs. Corporate and business tax consulting and planning. The Firm performs due diligence reviews that would be performed.. Assisting in setting up Liaison/ branch/ project office in India..
We review the complete IT infrastructure, Networking.. Conception, development & Execution of comprehensive ERP..